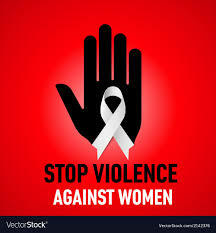 The release of the proposed National Plan to Reduce Violence Against Women and their Children (2010 to 2022) is a positive move for all Australians. However, the most important step has yet to be taken – the incoming Federal Government must ensure that the plan is immediately delivered, with the cooperation of all State and Territory Governments. “While the plan, as it stands, is a promising blueprint to address some forms of violence against women, it’s disappointing that the plan didn’t make it through the Council of Australian Governments’ process, ready to be implemented, in the first term of the current government,” said Hannah Harborow, Amnesty International Australia campaign coordinator. (2). The proposed plan addresses domestic violence and sexual assault, but Amnesty International has called for a plan that addresses all forms of violence against women. This would include sexual harassment; trafficking; forced prostitution; and traditional practices, such as female genital mutilation, that are harmful to women and girls. The proposed plan covers the three key areas necessary to comprehensively address domestic violence and sexual assault: the prevention of violence; the provision of services for women fleeing violence; and the prosecution of offenders, with standardised justice system responses toward gender-based violence. Amnesty International welcomes the proposal to involve all governments, at all levels and across a range of portfolios, as well as the women’s sector and the wider community. The plan takes a holistic approach and works on improving collaboration between all services that assist women who have experienced violence. It is also positive that the plan includes targets; indicators of change to show progress; regular periods of review and evaluation; and is supported by a pledge of additional funding. “The incoming Federal Government must adopt a National Plan that goes beyond the piecemeal approach we have seen in the past, and must implement a long-term strategy to address the root causes of violence against women,” said Hannah Harborow. This article was well written and I liked that you included quotes from sources. About the actual content of the article: Sadly, not only in Australia, but in America as well, crimes and violent crimes against women will continue to be a problem until something serious is done to put an end to it. Legislature can be passed, but it won’t necessarily stop this sort of behavior from happening. That said, cracking down on it and cracking down hard will more than likely lesson the amount of these crimes over the years instead of increasing the rate in which they happen from year to year. Oh, America is the safest country to be in for a woman. Women get to enjoy absolute equality and unparalleled liberty in the United States of America. In fact, the American society gives it women ample of opportunity to be full of sass. Oh, America is the safest country to be in for a woman. Women get to enjoy absolute equality and unparalleled liberty in the United States of America. In fact, the American society gives its women ample of opportunity to be full of sass.